Sir Frank Whittle (1907-1996) was the greatest aero-engineer of the twentieth century. His invention of the jet engine didn't just change the face of the Earth, it enabled millions of us to see what it actually looked like. He saw that a gas turbine and compressor 'with a combustor in between' could produce the thrust to propel a plane at high speeds. And so the turbojet was born. It was 1929. In war, Power Jets focussed on jets for a new RAF combat plane - the Gloster Meteor - but Rover, contracted to build its engines, wasted two years. Had Whittle been backed earlier, the UK could have fought the Battle of Britain with combat jets. Whittle's long struggle had damaged his health, which led to his leaving his beloved RAF in 1948. Knighted that year, he would never again build jet engines. 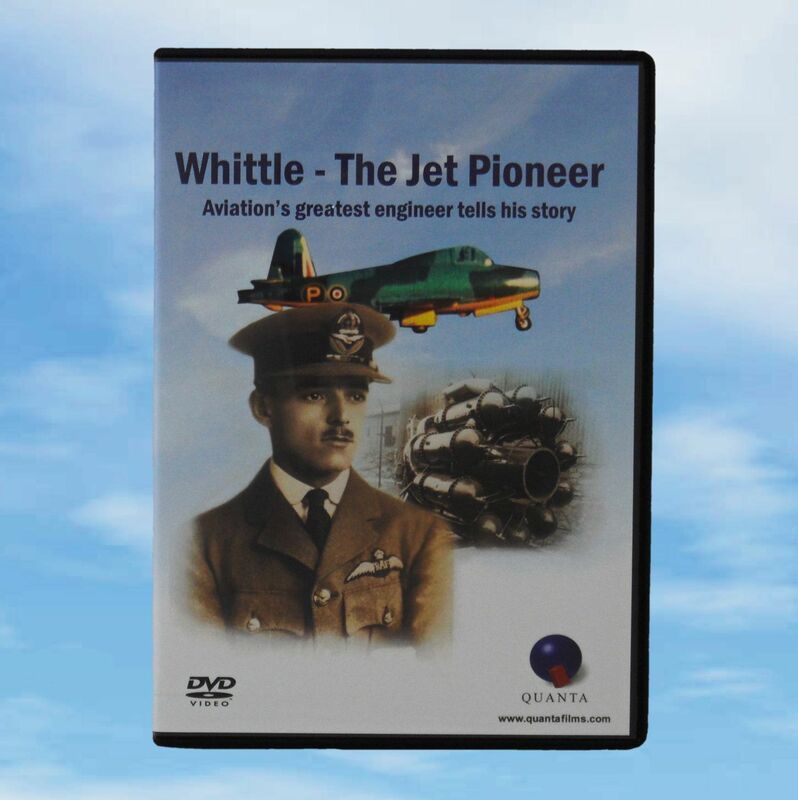 Sir Frank tells his amazing story in Whittle - The Jet Pioneer, supported by contributions from his son Ian, veteran test pilot and old friend Captain Eric Brown RN and Hans von Ohain, who designed the first German jet engine. Running Time: 93 minutes approx. Eric Brown – A Pilot’s Story - DVD is also available in our online store. Add it to your order for a unique duo of aviation films, about Britain's greatest aviator and Britain's greatest aero-engineer.